Announced at the SpringOne Platform conference in Washington DC, R2DBC is an experimental API designed from the ground up for Reactive programming against relational databases. The end goal is try to influence the Asynchronous Database Access (ADBA) specification. 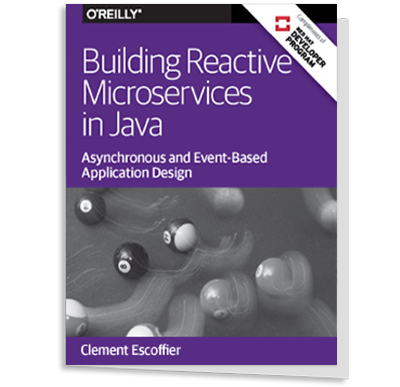 Utilize Reactive Streams Types and Patterns. Be completely non-blocking, all the way to the database. Shrink the driver SPI to the minimal set of operations that are implementation specific, regardless of usability. Enable multiple "humane" APIs to be built on top of the driver SPI. The connectionFactory.create() returns a Mono of a connection. Hale explained that the net result of this invocation is that "at the end, when somebody subscribes, it goes and grabs a connection, executes the query, and then for each one of those rows returns the value, say an integer, resulting in a Flux of integers as the end result, with a lifecycle around the connection that is only opened on subscribe and closed off once it is complete." We engaged pretty early with the ADBA crew, but there is a lot of contention around whether CompletableFuture is actually Reactive so we disengaged which led to our R2DBC effort. But now that are R2DBC effort has actual proof and working APIs we are being invited back to engage again. So ADBA might actually become this, and to some extent that is the end goal of a project like this. Spring doesn’t generate specs. We aren’t spec leads and we don’t host specifications. This project's entire goal is a way to influence the ADBA spec, and that is the best possible scenario. But make no mistake, I am not the sort of person who is going to tolerate the ADBA spec being bad. If they don’t take our advice, if they don’t see that Reactive is different from being async, then this is something that the Spring team will do. InfoQ is filming all the sessions at SpringOne again this year, and all videos will be made available on the site over the coming months. To receive notifications as the sessions are published, follow the SpringOne Platform 2018 topic.